War hawks are wrestling with “America First” nationalists for control of the administration’s international agenda. After a series of remarks by Mike Pence, one camp seems ascendant. On July 30, Vice President Mike Pence arrived in the Estonian capital of Tallinn. It was the start of a three-day trip to Eastern Europe and the Caucasus—an attempt to “reassure” the region of America’s unquestioned, and presumably unending, support and largesse. Today we stand where East meets West, on a great frontier of freedom. And no threat looms larger in the Baltic States than the specter of aggression from your unpredictable neighbor to the east. At this very moment, Russia continues to seek to redraw international borders by force, undermine the democracies of sovereign nations, and divide the free nations of Europe one against another. After Estonia, it was on to the former Soviet republic of Georgia, and then to the newest member of the 29-member NATO alliance, Montenegro, a tiny Balkan statelet the size of Baltimore. 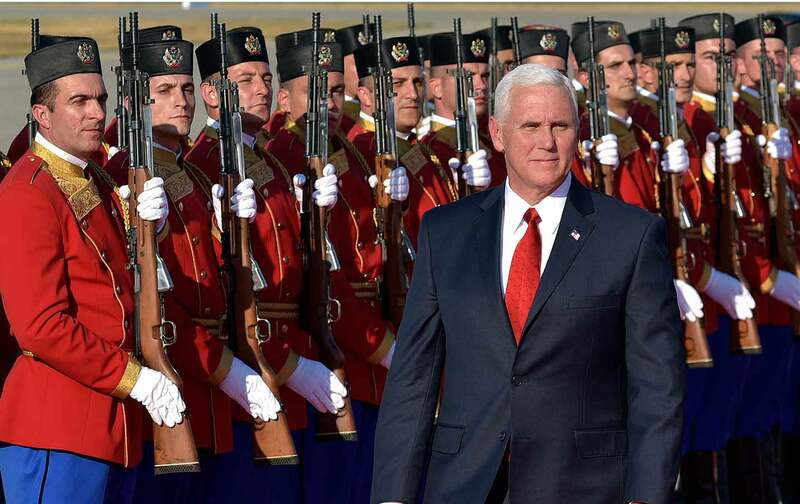 In Tbilisi, the Georgian capital, Pence commended the prime minster for “[bringing] Georgia closer to unity with Europe and membership in the North Atlantic Treaty Organization.” According to Reuters, on the day prior to Pence’s arrival, July 30, “2,800 soldiers from the United States, Britain, Germany, Turkey, Ukraine, Slovenia, Armenia and Georgia” had begun a two-week run of military exercises there. Pence was sending a provocative, unmistakable message to Georgia’s northern neighbor—and he was doing it fast on the heels of another round of sanctions on Russia, which were supported by overwhelming majorities in both the House and the Senate. The vice president’s remarks in Tallinn and Tbilisi are only the latest indications that Trump has become captive to the GOP’s neoconservative foreign-policy wing. They are indicative of which of the administration’s two foreign-policy camps is now ascendant. The Mattis/McMaster faction is characterized by an approach to the Middle East that is resolutely pro-Saudi and pro-Israeli (read: pro-Sunni, anti-Shia). They want more troops in Afghanistan and greater military involvement in eastern Syria. They are paranoid about Iran, suspicious of Russia, and enthusiastically boost NATO—yet they are wary of tearing up the Iranian nuclear accord for fear of alienating US allies. 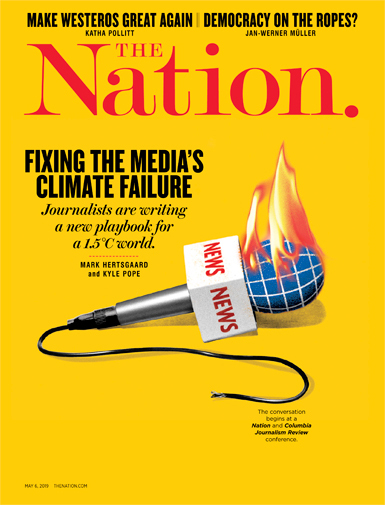 The remaining supporters of Trump’s “America First” nationalist foreign policy are arrayed against them, with Stephen Bannon and NSC Communications Director Michael Anton as prominent representatives. The America First faction would rip the Iranian nuclear accord to shreds. They are skeptical of NATO’s continuing utility and relevance, and remain suspicious of multinational and supranational projects like the UN or the EU. Both factions are marked by a hodgepodge of positions—though they align on their fealty toward Israel and their hostility toward Iran—and serve as proof of the incoherence of the Trump administration’s foreign policy. With the ascendance of retired Marine general and former Homeland Security chief John Kelly to the position of White House chief of staff, the Mattis/McMaster faction has been strengthened: The neocons now have a decisive upper hand over the nationalists. Pence’s ersatz Iron Curtain speech, coupled with the solidification of McMaster’s control over the national-security apparatus, might spell the beginning of the end for Trump’s opposition to the regnant neocon foreign-policy orthodoxy, namely: endless, counterproductive, worldwide American intervention.